Neeed more info? Read this article! You don’t need to be a video editing expert to handle different video file formats. From MP4 to VOB, videos come in a number of different file types, some of which may not be very compatible with the video player on your system. Thankfully, there are also a number of different video players built to run a variety of file types. So, if you’ve ever wondered how to play VOB files, here are some of the best 5 VOB file players. Video Object (VOB) is a native DVD storage file format. This container format sometimes contains encrypted files in the form of DVD menu, audio, video, navigation content, and/or subtitles. The VOB file is the core of any DVD video and is usually found in the VIDEO_TS folder with a .vob extension. It is home to the actual movie data, including support audio, such as MP2, DTS, and AC3, and the MPEG-2 video stream. VOB files are, unfortunately, not very well supported by the built-in media players on Mac (Apple QuickTime player) or Windows (Windows Media Player) PC. Because native players do not properly deal with these files, it is important that you make use of third-party players that can convert the file into a readable format and play it smoothly. This article reveals our top 5 ways of playing VOB files whether you are using a Mac PC, or a Windows 10, 8, or 7 OS. VLC Media Player certainly ranks as one of the best ways to play a VOB file format. This open-source cross-platform tool is just as compatible with Mac as it is with Windows, and it is totally free to use. VLC supports multiple audio and video file types, including DVD-Video, Video CD, and streaming protocols. Interestingly, VLC also has mobile versions for Android, iOS, and Windows Phones. If you have VLC installed, click the .vob media, and play using VLC. Your VLC player will act as a standard DVD VOB player and play the video as if you have just inserted a DVD, providing complete access to the DVD menu, chapters, and other features. The original Windows Media Player designed and developed by Microsoft did very well in playing, storing and organizing different audio and video file types on pocket PC, Windows OS and mobile devices, but still had problems dealing with VOB files. Windows Media Player sometimes finds it difficult playing VOB files on the hard drive due to the lack of an MPEG-2 encoder or decoder on the system. With the latest updates, though, Windows Media Player (WMP) is now equipped to open and play VOB files. Simply click and select to open using your WMP to get the VOB file running. If you still have problems opening VOB files on your WMP, you will have to download the file codec (such as the k-lite codec). However, the player takes care of this download for you most of the time. Another VOB player option for users of Windows OS is GOM Player. 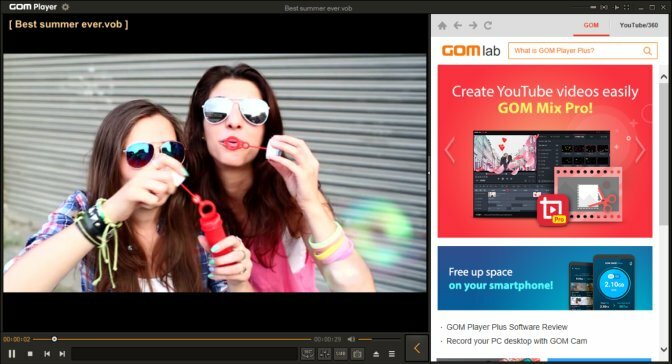 Yet another free open source media player on our list, GOM Player supports almost every video file format you might think of, including VOB files. Its usage is similar to that of the VLC Media Player. If you have it installed on your system, simply navigate to the folder containing your VOB file (typically the VIDEO_TS folder), and click to run it on the GOM Player player. The biggest advantage of GOM Player is if other players cannot run the file, this one has a codec finder, which will help you solve the problems with your video. 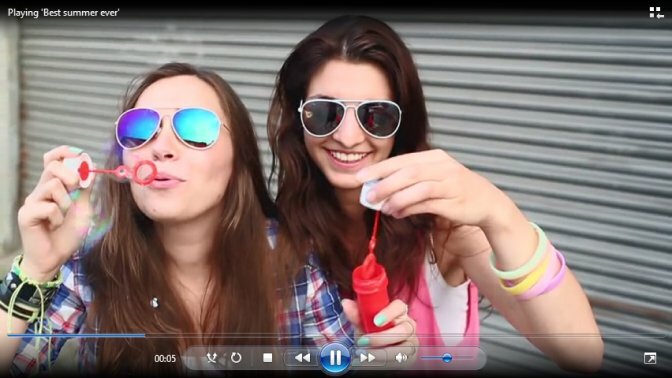 Elmedia Player is a multifunctional, highly versatile video player and media library with a ton of features. 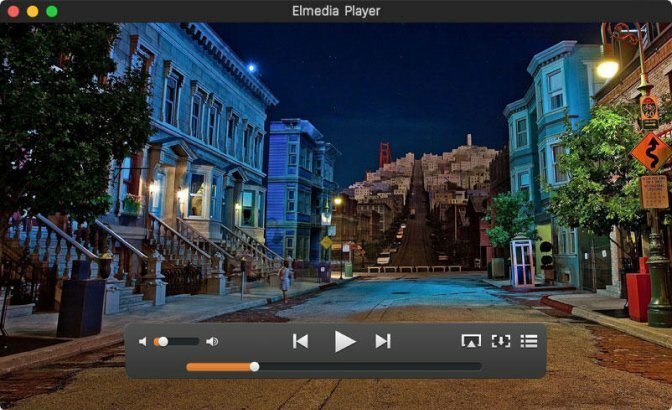 Built for the Mac OS platform, Elmedia Player supports a number of different file formats, including VOB, M4V, MP3, MP4, DAT, FLV, and more. Elmedia Player allows you watch your VOB movie file on your Mac PC with great playback support and bad sync correction. However, if you want to enjoy the native mac features like fullscreen mode – as well as some other advanced features – with the player, you will need the paid version. If you’ve ever been in the awkward position of having a video file rejected by every media player on your system, you are certainly aware of just how frustrating that can be. Your VOB video file (or any other video file format on your hands) might be ready to go but none of your players seem to run it just fine. The Movavi Video Converter is a handy tool for such situations. Developed to enable easy media file conversions from one format to another, this highly efficient video converter allows you to convert your video clips to a suitable file format in no time. 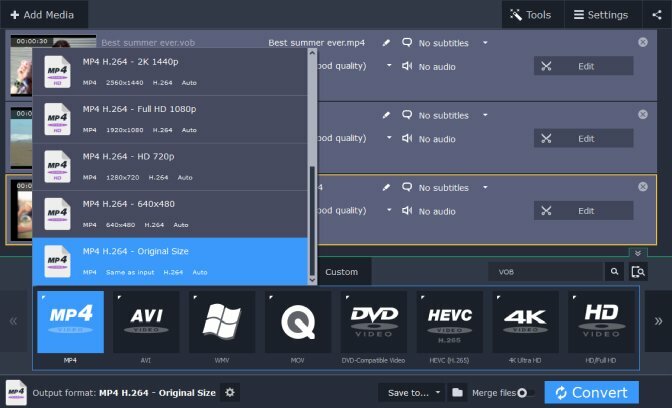 This converter allows you convert VOB files to any number of suitable file formats, including WMV, MOV, AVI, MP4, M4V, MPEG, FLV, ASF, and more. 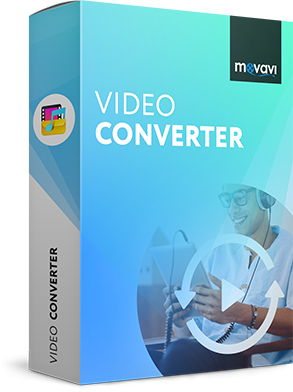 Rather than having to struggle all the time to find a suitable player for your video type, the Movavi Video Converter enables you to convert your available video file to the format accepted by your available media player. The converter is smooth and easy to use, and highly efficient in churning out brilliant end results. This converted video file can now be transferred for use on any other device or platform. If this is your desire, you are not alone. 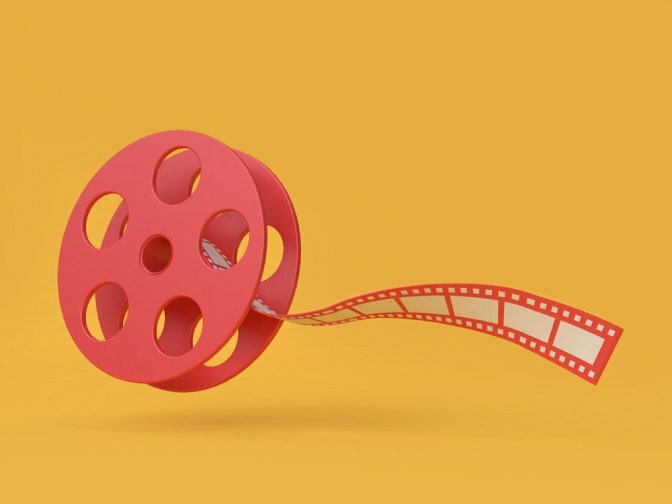 We certainly hate to see that the video we are so eager to watch – whether this is a tutorial video or a movie – is just one click away, and yet completely inaccessible. VOB file types (.vob) are one of the more popular file types – thanks to their usage in DVD Videos – that bring with them this headache. But it doesn’t have to be! There are multiple VOB players that can be used to tackle this problem and let you enjoy your video files as you please. On the other hand, you can always convert an available VOB video file into a file format that is compatible with your media player using the Movavi Video Converter. This way, you cannot be bothered about the file type of the video in your possession.